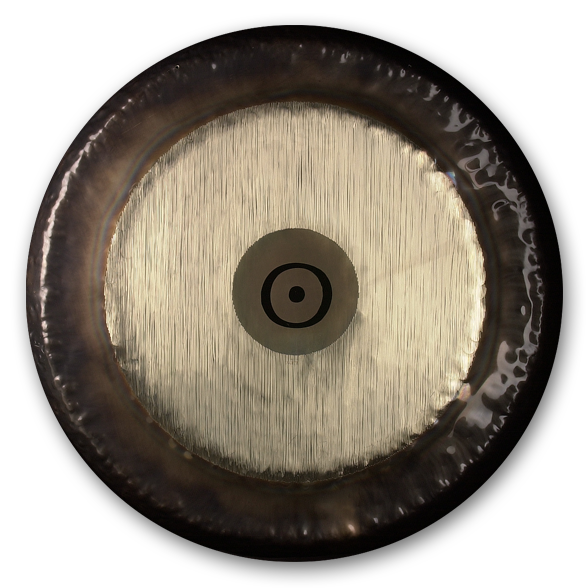 ​The sound characteristic of Planet Gongs is comparable to that of Symphonic Gong in diameters 20”-38”. 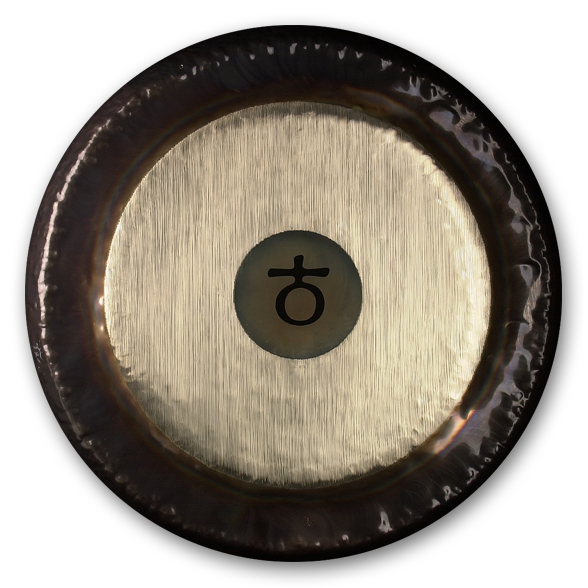 Planet Gongs are tuned in conformity with the natural harmonic series based in the orbital properties on the Earth, the Moon, the Sun, and the Planets according to calculations of Hans Cousto. Thus they resonate in harmony with the cycles of the celestial bodies and communicate a distinct aspect of the “music of the spheres” so amply quoted since the Antique. Their sound color is extremely mysterious and conveys an unusual, unfathomable atmosphere. 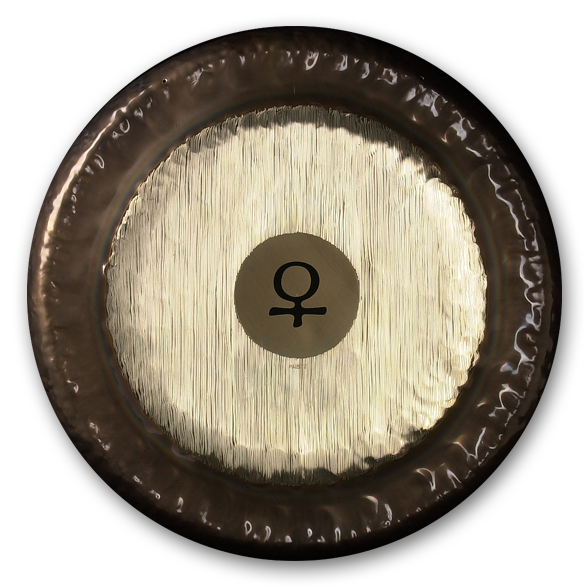 ​Each Sound Creation Gong has its own extraordinary and particular sound character. Their impressive, charismatic sound embodies a wealth of exemplary emotional sensations and feelings. Due to their varied sound colors and voices, these instruments also offer a wide range of harmonics and frequencies. 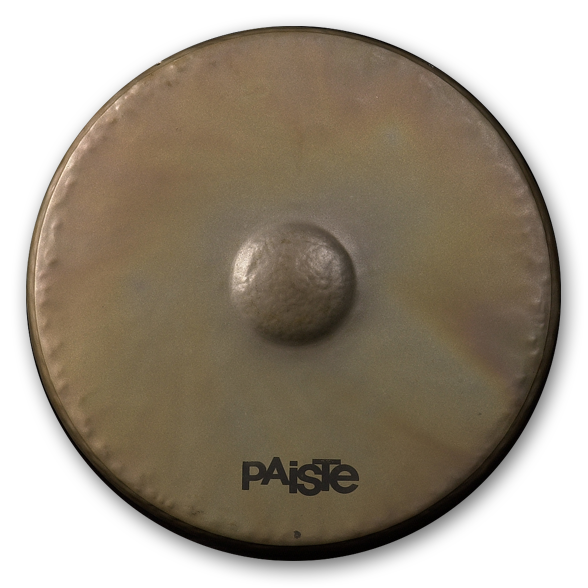 Symphonic Gongs have a slightly raised surface (without boss) with a harmonic and universal sound structure. 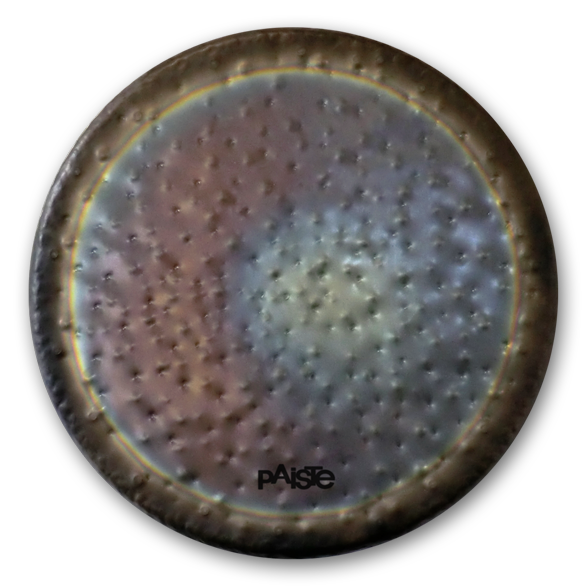 The fundamental note of the gong is balanced with the instrument's complex overtones. 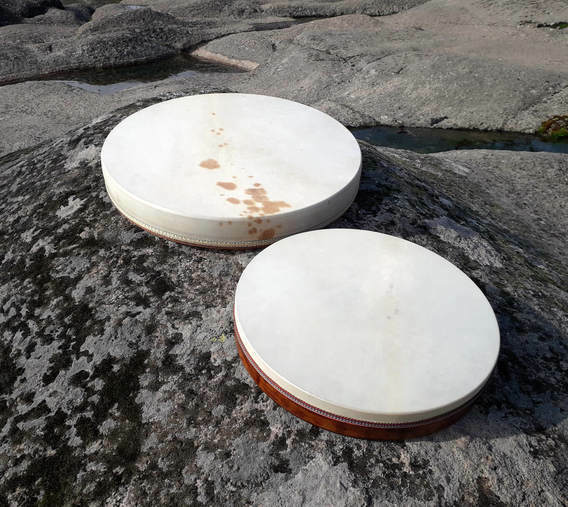 Sizes: 20" 22" 24" 26" 28" 30" 32" 34" 36" 38" 40" 50" 60" 60" SGM 80"
The sound and reaction of the Gong are determined by the size, weight and material the mallet is made of. Paiste mallets are manufactured to Paiste’s specifications, standards for top quality and durability. Paiste mallets are manufactured to Paiste’s specifications, standards for top quality and durability. Aluminum handle, vinyl grip & thong, specially weighted inner core, covered and fur. Plastic handle, vinyl grip & thong, specially weighted inner core wrapped with felt, nylon/acrylic Yarn overwrapped. This stand fits one gong. The stand legs are adjustable in height for players to easily reach the gong in all playing situations. Orchestra Square Stands are available in a black finish. This stand fits two gongs and comes with high-quality rollers. The stand legs are adjustable in height for players to easily reach the gong in all playing situations. Orchestra Square Set Stands are available in a black finish. This stand fits one gong. Gong Round Stands are available in a black finish. 8This stand fits one gong. 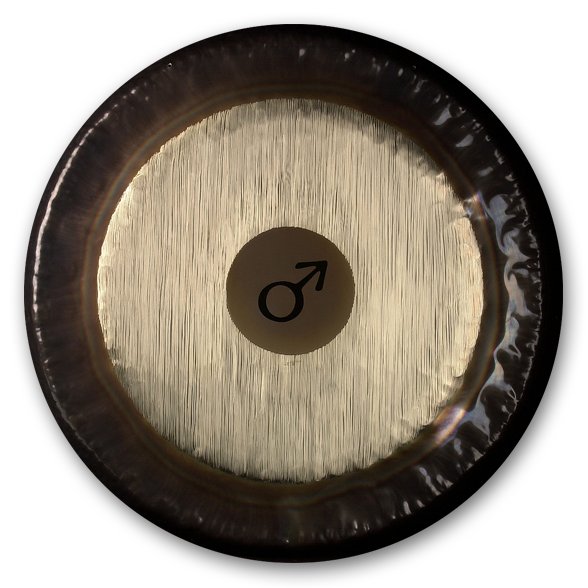 Gong Round Stands are available in a black finish. This stand fits one gong. Trapezoid Stands are available in a black finish. This hanger fits one gong. Wall hangers are available in a black finish. The Koshi chime is an autentic hand made musical instrument, an original creation of high quality. Used for music therapy, relaxation. 4 different elements- fire, earth, air and water- each with a unique melody combining perfectly with each other to create a beautiful melody to sooth the soul. Move the chime gently holding it by its cord: the crystalline relaxing sound may leave you in quiet wonder. Our handmade Ocean Drums makes you feel like you are relaxing at the beach without leaving your home! Ocean Drum contains natural specially selected sand from the Mediterranean Sea, the beaches of Blue Laguna. Each drum is unique and different from others. It is easy to use and can be great gift! Indispensable tool for storytellers, healers, music- and sound therapy, meditation and house warming. Our Ochean Drums are made of natural materials - wood and goat skin. Framedrums are the basic percussion instruments played the world over from ancient times. The handmade drum listed here features "pneumatic tuning" - inner tube placed beneath the skin is used to tighten or loosen it as required. This system guarantees even pressure throughout for quick and easy change of pitch. Our drums are made of natural materials - wood and goat skin.